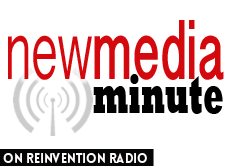 The Reinvention Radio Crew has a great discussion around the use of apps and whether or not you need one. Richard is of the opinion unless you need a common ground for a community, you’re competing on time & attention with Facebook and the other mainstream apps. People want to go to Facebook. Wade defines an app as a customized tool and suggests we go talk to people where they are.